The executor of a will is the person appointed by the deceased to administer their estate. This must be done in accordance with the terms of the deceased’s will. Some people appoint a solicitor as their executor; however it is also common to appoint a loved one, close friend or trusted advisor. It is not necessary to hold any professional qualifications to act as executor. If you have been appointed as the executor of a will, you may feel honoured to have been entrusted with this important task. But you may also be feeling a little overwhelmed or nervous about what the role entails. You may be wondering, What does an executor do? Is being an executor difficult? You may even be thinking, What if I don’t want to be an executor? distributing the deceased’s remaining assets in accordance with the terms of the will. The first step you should take as executor is to locate the deceased’s original will. You should do this as soon as possible. You will need the original will to apply for probate (see below). Original wills are often kept with solicitors or trustee companies. If you can find a copy of the will (frequently filed wherever the deceased kept their other important documents), this should indicate where the original is. You should inform the holder of the will that the deceased has passed away. If you are in possession of the original will, remember not to alter it in any way – do not mark it, or add/remove staples or other clips. Inform beneficiaries and business partners of the deceased of their entitlement under the will. You should also ascertain any immediate needs of the family. While it is common for family members of the deceased to arrange the funeral, the task can fall to you as the executor of the estate. 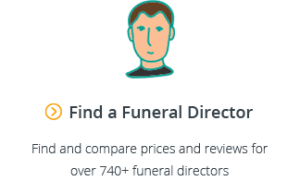 If this is the case, and if the will does not make provision for the funeral, you may also be required to pay for the funeral out of your own pocket while awaiting reimbursement from the estate. 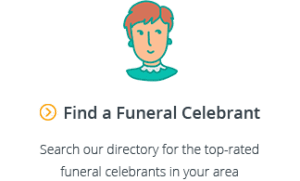 For more information, see our article on Who Pays for a Funeral? You will then need to identify what assets the deceased had and what debts they owed, and prepare a statement. debts owing to the deceased. You can compile your list by contacting relevant banks, financial institutions, share registries, insurance companies, Government departments, service providers and creditors. As well, if you think the deceased held real estate, you can search title records such as the Land and Property Information. investing surplus funds after debts have been paid. Importantly, as an executor you can be held personally liable for any damage to property which has not been secured or insured. Probate is the legal process of proving a deceased person’s will in the Supreme Court. In simple terms, it is the process whereby the Court gives the executor permission to carry out the terms of the will. If you require a grant of probate, you will need to apply to the Supreme Court in your state. Applying for probate can be a fairly complex legal process but it is possible to seek assistance from a solicitor or a trustee company. 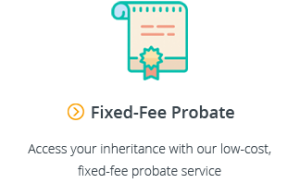 For more information see What is Probate? You will need to finalise any tax returns for the deceased and, if necessary, for the estate. This can be tricky if complex calculations of capital gains tax are required. Before distributing the deceased’s assets to nominated beneficiaries, you must pay all of the deceased’s debts and expenses. Expenses can include funeral costs, as well as fees for administering the estate and out-of-pocket expenses. It may be necessary to sell some estate assets to cover the debts and expenses. 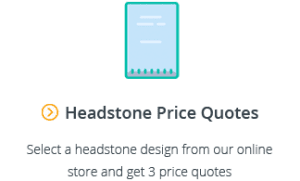 In this case you will need to ensure you obtain a fair price for the assets sold and that you take into account any costs of sale and capital gains tax. Alternatively, the beneficiaries may wish to retain the assets in the estate and so may instead opt to provide money to meet the debts and expenses. Once the deceased’s debts and expenses have been paid, you can then distribute their remaining assets in accordance with the will. You should prepare final accounting statements for the beneficiaries of the estate. Finally, you may also need to establish trusts for certain beneficiaries; for example, beneficiaries who are under the age of 18, or who have a mental disability. The will may also require a trust to be set up. As executor, it is likely you will be the trustee for these trusts. It’s important to note that trusts can require ongoing administration over a long period of time. The role of executor can be a significant undertaking. There are often numerous pieces to the estate administration puzzle, many of which can be resource and energy intensive, can require you to make difficult decisions, and can prove complicated for those without legal or business skills. Administering an estate usually takes months, and your duties can consume a large chunk of your time during that period, and sometimes beyond. There are other challenges an executor may face. In addition to the potential complexities of calculating capital gains tax when completing the deceased’s tax return, you may also receive claims to the estate from people who believe they were not adequately provided for under the will. As well, executors may have difficulties dealing with certain beneficiaries where beneficiaries are demanding or have unrealistic expectations as to the amount of, or when they will receive, their entitlement under the will. if you cause delays in administering the estate which result in financial loss, you may be personally liable for this loss. Before commencing in the role of executor, you should ensure you have a full understanding of what the role entails and that you have sought advice from a lawyer, and any other relevant professionals. Once you’ve equipped yourself with the necessary information and advice, you may feel ready to get started with your executor duties. However, it’s also ok if you’re feeling overwhelmed or not up to the task or would simply prefer not to be the executor of the will. If you decide not to accept the deceased’s nomination, you can renounce the executorship. It is best to renounce the executorship as soon as possible so that you avoid doing anything that could be interpreted as having accepted or taken on the role, such as applying for a grant of probate. You can renounce by submitting the relevant form to the Probate Registry of the Supreme Court. (Note that it may be possible to renounce probate once probate has been granted, but the process is more difficult). If you were the only executor nominated in the deceased’s will, an ‘interested person’ or beneficiary may instead be appointed to administer the estate. If there is no one among the deceased’s family or close friends or advisors to undertake the role, the public trustee will act as executor of the estate. The public trustee charges fees to administer the estate. We hope this guide has been helpful in explaining what’s involved when you’re appointed as the executor of a will. If you have any queries, please don’t hesitate to get in touch with us at support@gatheredhere.com.au or start a live chat by clicking the floating message box in the bottom right corner of your screen.